I’ve got a big day planned for August 13th at Sew Sweet Quilt Shop. Maybe you’d like to join me, if you’re anywhere close? 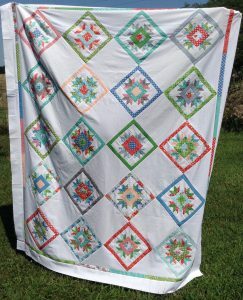 Beginning at 9:00 am, the Pecan Valley Quilt Guild, of which I am a proud member, is hosting me for my “Starflowers” quilt workshop. 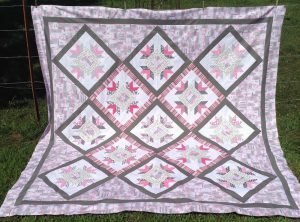 We’ll be sewing in Sew Sweet’s fabulous retreat center, and word on the street is that there are a few slots still open in the class. 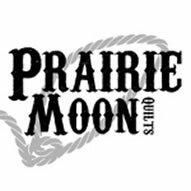 The Pecan Valley Quilt Guild has opened up those few remaining slots to members of the public! So if you’d like to join us and take my Starflowers workshop, please contact me, and I can put you in touch with the gal in charge so you can get all the details and the supply list. We’ll feed you lunch! 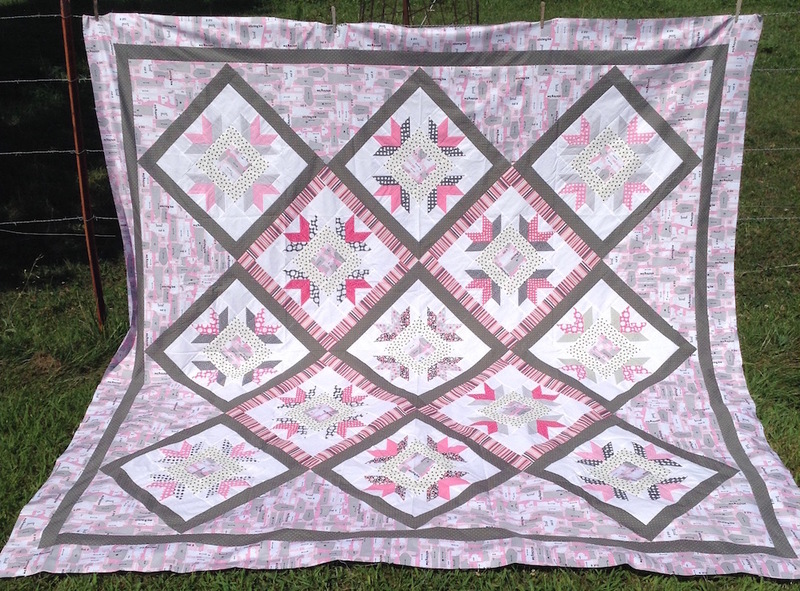 I’ll have the finished quilts, the proper pattern, and much better pictures by the time of class, I promise! 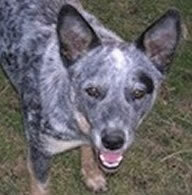 I took these in a hurry with My Cowboy’s help, and he was gettin’ a little testy hot! 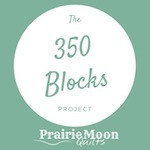 Since August 13th is Sew Sweet’s regular meeting of their Saturday Sampler Club, I’m planning to skip out of class for a little bit to unveil the new Block-of-the-Month quilts for next year’s Club! So even if you don’t come for the workshop, it’ll be worth a stop into the shop to see all their new products and fabrics, and to see what the new BOM is gonna be like. 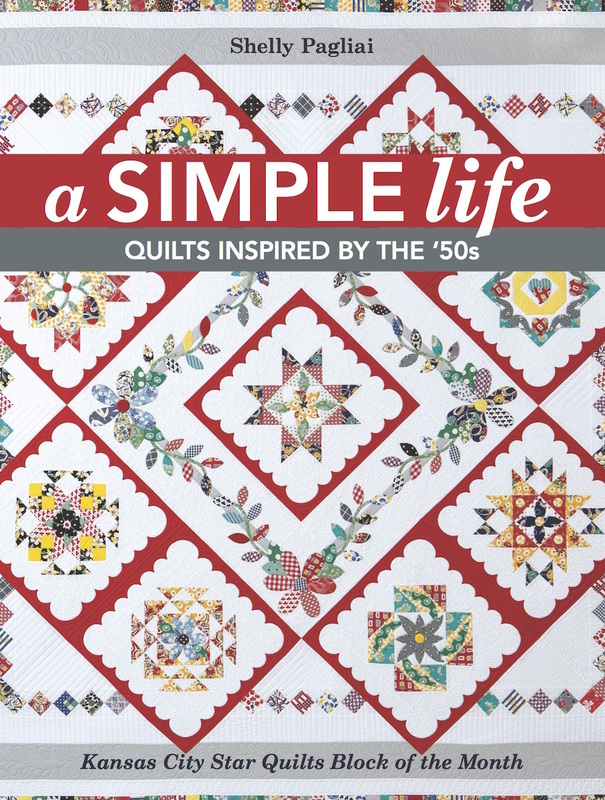 And while I’m skipping class, I’ll also be showing all the quilts from my book, “A Simple Life: Quilts Inspired by the ’50s” in a trunk show during the club meeting. And we’ll have copies of the book for sale that I would be thrilled to autograph for you on the spot. Or if you’ve already purchased the book, bring it in and I can sign it for you. 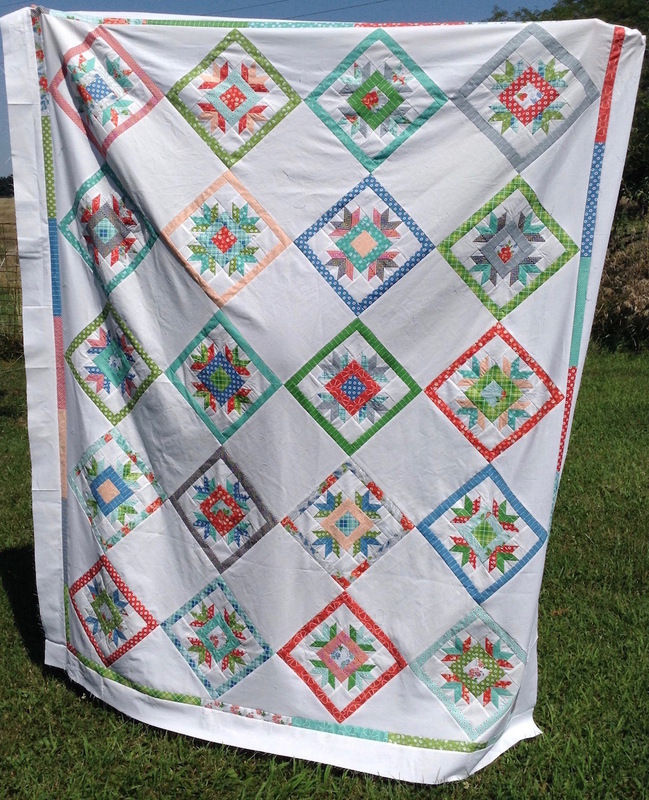 Or at least just come see all the quilts! A lot is happening that day, and we’re gonna have loads of fun, so please consider joining us for some, if not all, of it. I hope to see you there! We’ll break for club meeting and lunch. Lunch is included in your class fee. Contact me to get more info and to get signed up. See all the new shop products. The new Block-of-the-Month quilts are being unveiled. 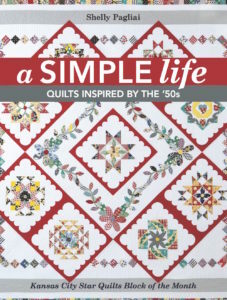 Trunk show and book signing by ME for my book, “A Simple Life: Quilts Inspired by the ’50s”. The shop is open from 10:00 am – 5:30 pm, so you’ll have plenty of time for shopping, too! Oooooh I wanna come!!!! Let me check!